Home » Blog » Process » How ‘301’ redirection works! From the day I started working at rtCamp, I have come across clients from all walks of life. Every client has a different requirement and a set of queries related to his requirement. Some of our clients need new websites while most of them want their websites to be revamped to include latest graphics and technologies. They love our amazing development process and know that we really like to push it to the edge when it comes to innovation in WordPress. My interaction with so many clients has made me observe a similar requirement, which all clients demand in one form or another. “What will be the URLs for the new site?”, is what many asked. On chatting further, questions like, “How will you maintain my existing website traffic, ranking and SEO parameters? Will the change in URLs affect any of these?” popped up. While a few also demanded that the New URLs should be identical to the Old URLs. This demand is right from the clients’ perspective. 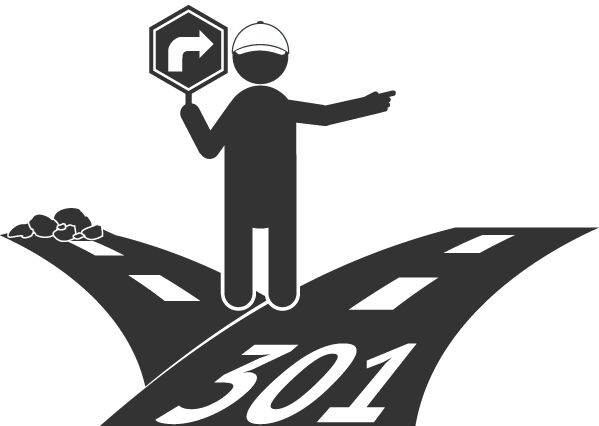 There is a custom solution we offer, ‘301- redirection and mapping’, and today I am going to explain it to you in depth. So let’s start. As your website grows, more and more people will visit your website. This success encourages you to expand your horizons. That is why you choose to revamp your website. Attracting more and more visitors should always be your primary objective. Accommodating new features, responsive designs and along with better handling of ever increasing traffic is what you desire. The fact that you have decided to upgrade to WordPress is what we appreciate the most. We start working on the new design as per your requirements and our suggestions. You get a newly designed website, new features and the content from the old site is migrated to the new site. The new website is lively and you feel awesome. But you realize that most of the URLs have changed and that many people might have bookmarked Old URLs. The fear of losing these visitors grips you and this is where ‘301- redirect’ comes into play. Suppose your Old URL was http://example.com/old-page. After the launch of your new site, the existing content from the ‘Old-Page’ has been moved to http://example.com/new-page. So, what we will do is make a table of ‘Old URL vs. New URL’ and redirect the user to the New URL. It is as simple as a look-up table. We will install and configure some plugins, which will manage all of this. Please note that even if the visitor tries to open the Old URL, he will always land on the new page. Voila! Now you can get back to work without worrying about loosing your old visitors. If you are a blogger, this is the best thing that can happen. People will never get lost and won’t abruptly land on the homepage when they click on one of the bookmarked Old URL. How Search Engines would react? Search Engines index your webpages to help users find your pages quickly. It takes time for them to re-index. If you have moved to a new website, you may think that you may lose your webpage ranking and hence visitors to your website will be reduced. This is where redirection plays the most important role. Users who will be visiting your website through search engines will be re-directed from the Old URL to the New URL internally. All of this will happen in the flash of a second. And thus you will retain every visitor. In fact, Google recommends the use of ‘301- redirection’ so that websites can retain their glory. By glory I mean rankings, keywords and other SEO parameters. We will make sure all of this is done before the website goes live. So you can go back to work without worrying a bit. I hope this encourages you to move on to a better, faster and lighter website. Once you do, there is no looking back. WordPress combined with our meticulously planned development process is the most ideal formula for success. Do let me know if you have any queries. I would be glad to answer them. Hi Akshat, of late I’ve been following your posts here on rtC blog and find them to be a nice and detailed guide (in plain english). Will surely be of immense help for neophytes. Thank you Deepak. I’m working on a few more articles. Keep following us.